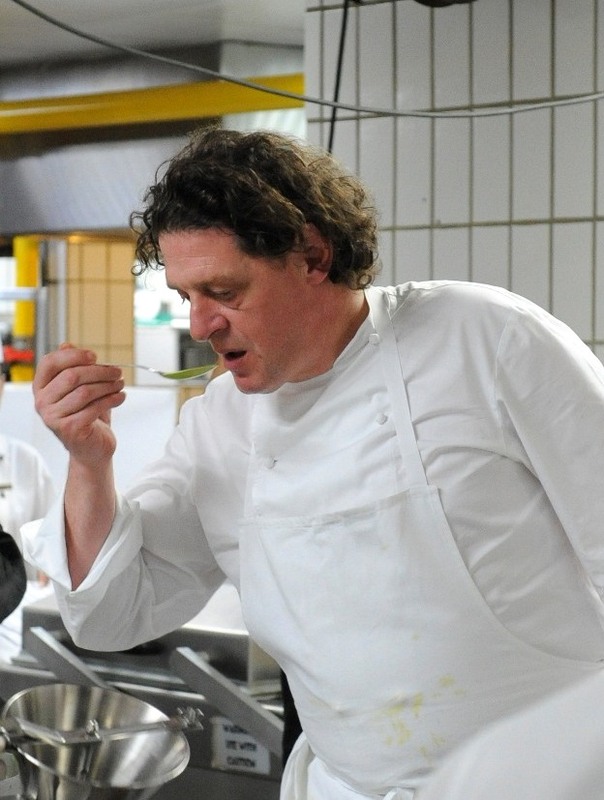 How would you like to see one of the most celebrated chefs in the world eat up his microphone? Recently, I was privileged to be at a World Gourmet Summit Citibank Gastronomic event where one of the demo sessions was conducted by the legendary British celebrity chef, Marco Pierre White himself. 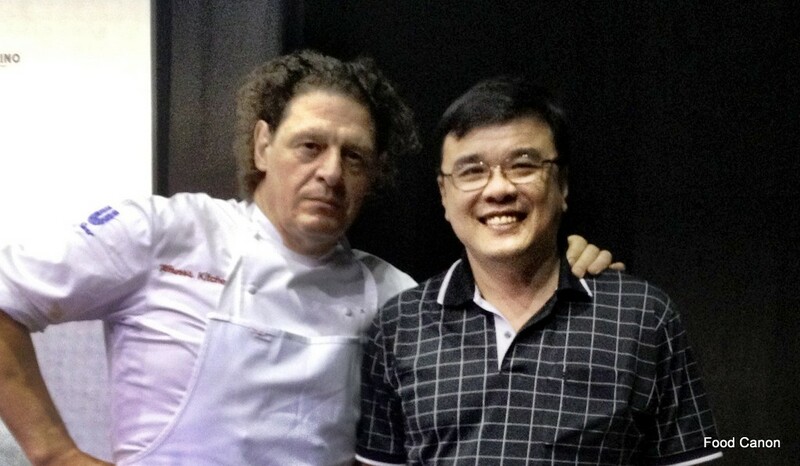 He was the youngest chef to be awarded 3 Michelin stars. He trained chefs such as Gordon Ramsay. He was such a big presence on stage and even though he was teaching basic steak au poivre (black pepper steak), the audience was star-struck and lapping up every word. Never did black pepper steak sound and look so good. With a deep British- accented voice, he was philosophizing about the basics of good cooking. See my hand? You see a palm but I see four knuckles. There are different ways of seeing the same thing. Don't be blinkered by classicist ideas and fixed categories. Trust your own sense of taste. Learn to use and develop your own palate. Sermonizing, he was obviously very much at home in his kitchen pulpit and cooking the au poivre sauce at the same time. What he was not comfortable with was the wireless mic. It was hanging from his ear with the round condenser just in front of his mouth. Like every good chef, he was sticking his finger into the sauce and tasting it once every so often. Then it happened. In one of his finger forays, he accidentally pushed the mic into his mouth. For the next few moments, we did not just get to see Marco cook and eat his food. We heard what it sounded like when he eats. You can say the mic took some biting. The bemused chef was amusing the audience as he struggled with the mic. White turned red with embarrassment but we were all glad for the entertainment. It was truly a YouTube moment and that was what he quipped. We all had a good laugh but doubtless, Marco was an inspiration to listen to. Coming back to Marco's words, I was reflecting on his "you see palm, I see knuckles" statement. While we can have a different perspective, of course, we all know that there are some established truths about cooking. It is not a lawless kitchen out there. In fact some of these basic principles are rather absolute. There are principles to be learned. Skills to be understood and mastered. And behind each, basic principles of molecular science which food scientists like Harold Mcgee have written a lot on. That said, we need to remember that these basic principles interact in a lot of ways, and this is where creativity comes in. Take music for example. The notes are as black and white as the piano keys themselves. A 'C' is a 'C'. You have low C and high C. But it is a C. But these same notes "sound like a million colours in your mind", as Katie Melua's song Spider's Web will put it. The basic principles may be fixed, but they produce countless tunes. In this sense I agree with Marco: creativity has no limits and one should not be blinkered. But where I seek to add (and this may well be what he will agree on though unspoken) is that this creativity needs to rest on a firm foundation. 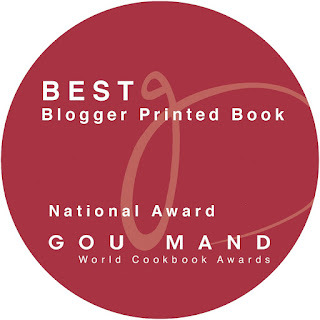 Novice cooks, while they may play with new recipes, need to work at the basic principles of cooking. And I have found that when these principles are understood that one can begin to play with food and consistently come up with good results. I am not suggesting that we should take up culinary courses. I am saying that home cooks who want to improve need to patiently work at the basics in terms of practice and knowing the principles behind them. Culinary creativity rests on firm principles. And here is an important observation, the more you understand these principles, the less dogmatic you will be about cooking. Understanding these basic principles frees you to explore and create. It keeps your mind open and palate unbiased. In fact, it frees you from being bound to the recipe. And I think the skills of a creative chef rest on his ability to discern these primary and secondary principles. 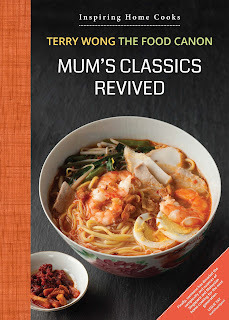 Prawn Bisque or Hokkien Mee? This is not a post to go into some of these basics but just to make an important point. You see the palm and I see the knuckles. But this point is meaningless unless we both agree that we are looking at a hand. Seek to understand the first principles, and you will begin to appreciate the diverse ways we go can from it. You create and you explore, but your new creations are only possible because they rest on some ancient cooking principles. You may use Sous Vide and I, the wok. But whatever we come out with always rests on the same few principles. These principles have always been there from the beginning of time. Seek to understand these basic principles. And enjoy the freedom that comes with that. And to be sure: this simple principle also holds true for other areas of life. Take the Christian faith as one example. While one can say that faith is about one's perspective, there are truth fundamentals that form the bedrock of that faith. When that foundation is clearly held, there is freedom to create. While some may think that this can be stifling, on the contrary, creativity and freedom is meaningful and constructive when it is bedded on a firm foundation.